After simple elegance? You got it with the exquisite, refined Soho Teak Rectangle Coffee Table. This wide, expansive rectangular coffee table, like the Soho Collection of outdoor furniture, is all about sleek lines, modern culture, and contrasting elements with the purpose of adding the stylish simplicity of New York Style living to your home and garden. The collection features long, wide planks of Grade A Teak wood, accented by marine grade 316 Stainless Steel tubular bolts; resulting in stunning and masterful framework. 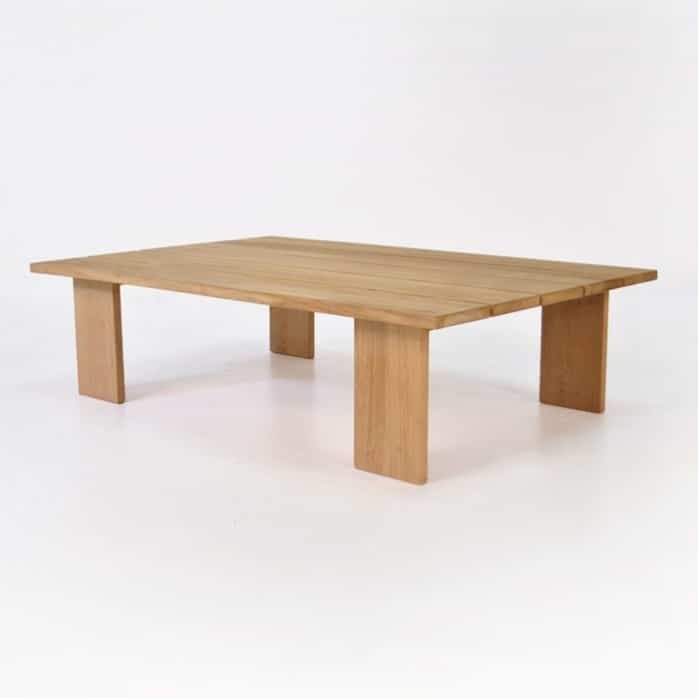 The Soho Teak Rectangle Coffee Table has all the polished lines of its family, the Soho Collection. As a wide rectangular table, it is the perfect host for table books, canapes, drinks and an elegant piece of ‘art’ for your indoors or out. Its artistic, flawless design makes it ultra-versatile. Place this piece in between two Soho Grande Teak Sofas, with two Soho Grande Teak Club Chairs, for the ultimate seating experience. Or try something different by placing it in your sunroom next to a cushy chair or two. Any questions? Call our store! Our friendly sales staff are on hand 7 days a week, ready to assist you with your decorating needs.